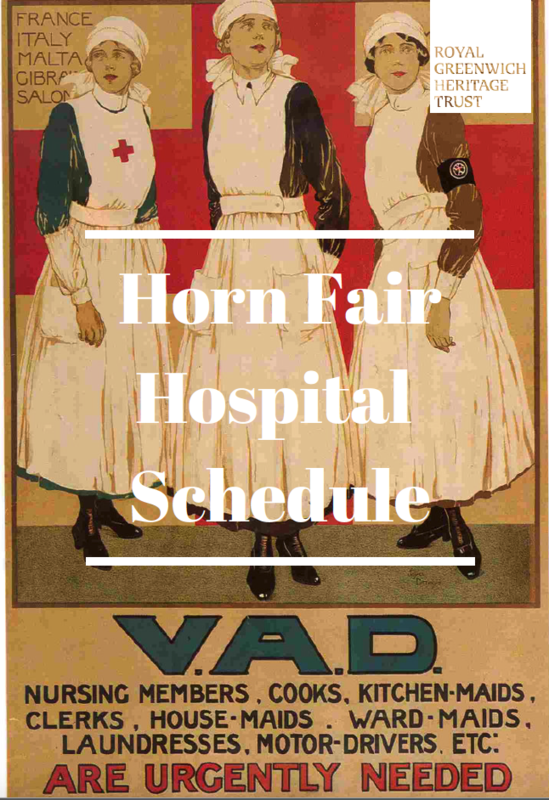 There’s a World War I flavour to this year’s Horn Fair, taking place this Sunday, 14th October, as Charlton House marks 100 years since it opened as a Voluntary Aid Detachment (VAD) Hospital in 1918. As well as children’s activities themed around Charlton House’s role in the recuperation of WWI soldiers, there’ll be an opportunity to make Venetian masks, meet Charlton House’s beekeepers, plus a wide variety of food and market stall, music, and a range of talks. The Tea Rooms will be serving “some interesting recipes from World War I”. Outside the house, there will also be an opportunity to see inside the Summer House, and from 12.30pm to visit St. Luke’s Church over the road. See Charlton House’s website for the full details, or download the Horn Fair 2018 programme here. Read The Charlton Champion‘s history of Charlton’s Horn Fair here.